Our lowest fares are available on our website, FlyFrontier.com. 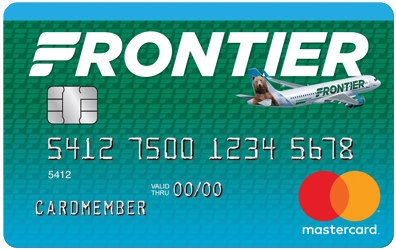 Certain fares such as internet promotions, may not be available to our reservations agents and are only available at FlyFrontier.com. We know it’s important to keep customers informed and we’ll make every reasonable effort to ensure we provide accurate, up-to-date flight information. We will update customers about delays, cancellations and diversions. When you arrive at your destination, we always try to ensure your checked baggage is there too. If your baggage does not arrive on your flight, please go to our Baggage Service Office, located in the baggage claim area or to our ticket counter, to report your delayed bag. If your bag does not arrive, we require that you report this to us within 12 hours of your arrival. The customer service agent will create a tracing file and will provide an update regarding the status of your baggage. We will get you on your way as quickly as possible and cover your immediate, reasonable needs while you wait for your baggage. We'll make every reasonable effort to find your baggage and get it back to you. We encourage you to place your contact information both on the inside and outside of all checked and carry-on baggage. We will attempt to contact any person named on a bag when we find an unclaimed, checked bag that contains a name and address or a telephone number. RECOMMENDATION: Items of necessity such as medication, keys, passports and anything of significant value (such as electronic devices, computers, cameras and jewelry) should be packed in your carry-on baggage. Frontier does not allow reservations to be held without payment. Refunds are provided for reservations made seven days (168 hours) or more prior to your scheduled departure, provided the refund is requested within 24 hours of your initial reservation. Once the proper documentation is provided, we will process refunds for eligible domestic and international tickets within seven (7) business days of receiving the completed refund request. Due to billing cycles, a credit card statement may not reflect a refund immediately. If you purchased the WORKS℠, you may cancel your ticket on your Manage my Booking page through logging into My Trips. After cancelling, you may complete and submit the Online Refund Form if you would like a refund to your original form of payment. We are dedicated to meeting the travel needs of each of our customers, including those with disabilities and other special needs. We'll provide point of contact information for travelers with special needs at our ticket counters, gates, when calling our Reservations Department at 801-401-9000, or by filling out an Online Form. Find detailed information to help passengers with special needs plan for their travel on our Special Service page. Sometimes a flight may be delayed on the ground before receiving takeoff clearance from Air Traffic Control, after landing at your destination or during a diversion to another airport. These delays, known as “tarmac delays,” are rarely of extended duration. If, however, your flight experiences an extended tarmac delay after you have boarded or after the plane has landed, we commit to providing timely information on the situation. We will also provide for your essential needs including, as safety and security conditions allow, food, water, operable restroom facilities, and, access to medical treatment. Please see our Extended Tarmac Delay Contingency Plan for more details. In the event that a flight is overbooked, we will solicit volunteers to give up their seats. As thanks for the cooperation of these volunteers, we provide alternative travel accommodations and an electronic voucher usable toward future transportation on a Frontier flight. It is our goal to find enough volunteers so that no customers are denied boarding involuntarily. If there are not enough volunteers, other passengers who check in after all seats have been assigned may be denied boarding involuntarily. If you are involuntarily denied boarding, we will give you a written statement that describes your rights and explains how we determine boarding priority for an oversold flight. If there are fewer seats available than people who have checked in, generally, the last customer to check-in would be subject to removal. In order to minimize the likelihood of getting denied boarding involuntarily, it is important that you check-in as early as possible. You can Check-In up to 24 hours in advance of your scheduled flight at FlyFrontier.com. We'll gladly provide you with detailed information about our policies, products, aircraft configurations and services. Aircraft configuration, including seat width, pitch ranges and lavatory availability. All Travel on Frontier is subject to the terms of our Contract of Carriage. In the event a schedule change impacts your upcoming travel itinerary, we will send you an email to notify you of the change if we have your email address. If you purchased your ticket though a travel agency, including an online travel agency, we will notify the agency of the itinerary change so they can contact you about the change. We value feedback from our customers to help us learn what we're doing well, as well as where we can improve. Our Customer Relations Department handles all of your feedback and ensures the information is circulated to the appropriate departments within Frontier. You may contact us in three ways with your compliments, complaints or questions. We will acknowledge receipt of written complaints and concerns within 30 days of receiving the correspondence, and we promise to have a substantive response within 60 days of receiving the correspondence. By a phone call at 801-401-9000. Say "other options" at the first prompt, and say "feedback and concerns" at the second prompt. When it comes to flight delays and cancellations, some situations are within our control and others are not. Controllable Situations are defined as delays, diversions, cancellations or service delivery failures considered within Frontier's control (such as delayed baggage or flight delays and cancellations caused by aircraft damage, mechanical issues, etc.). If your flight is delayed, cancelled, diverted, or if you miss a connecting flight due to controllable situations, we'll do our best to get you to your destination and place you on the next available Frontier flight at no additional charge. Alternatively, if your flight is cancelled we'll provide you, upon request, a full refund of any unused portion of your ticket. Uncontrollable Situations are defined as flight delays, diversions, or cancellations out of Frontier's control (such as those caused by weather, Air Traffic Control, etc.). We truly regret that uncontrollable situations may interrupt your travel. Given their nature, we do not offer compensation for uncontrollable events beyond the re-accommodation on the next available Frontier flight. Alternatively, if your flight is cancelled we'll provide you, upon request, a full refund of any unused portion of your ticket. In the event of severe weather, we will enact our Severe Weather Plan and issue travel advisories on FlyFrontier.com. The Severe Weather Plan allows for re-booking of flights without additional fees for a later date when the weather improves.